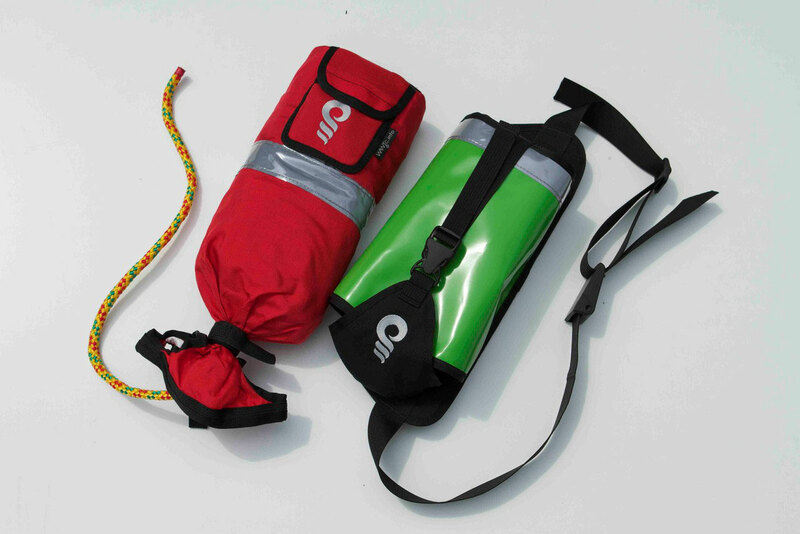 New-school whitewater throwbags equipped with special waist-carry-system and/or with carabiner pockets. 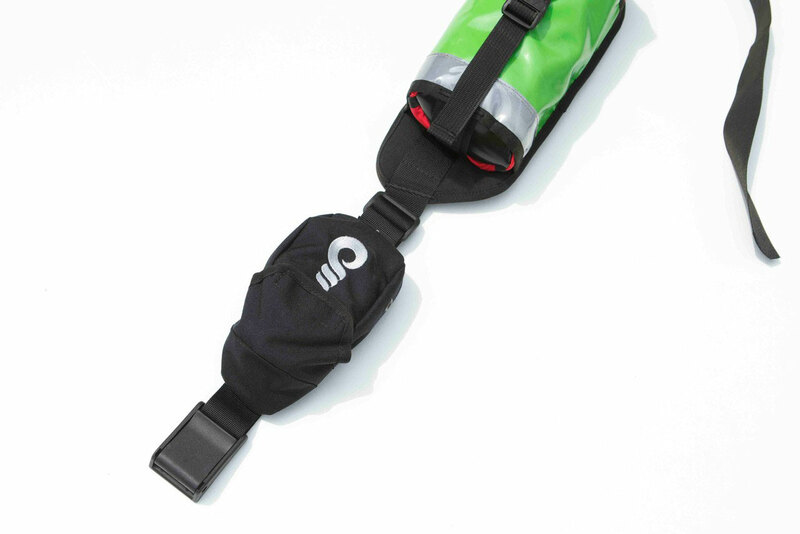 All bags and carry-systems are provided with reflective inserts for better visibility. - 8mm, 15m rescue rope with reflective inserts sold with and without waist-carry-system. 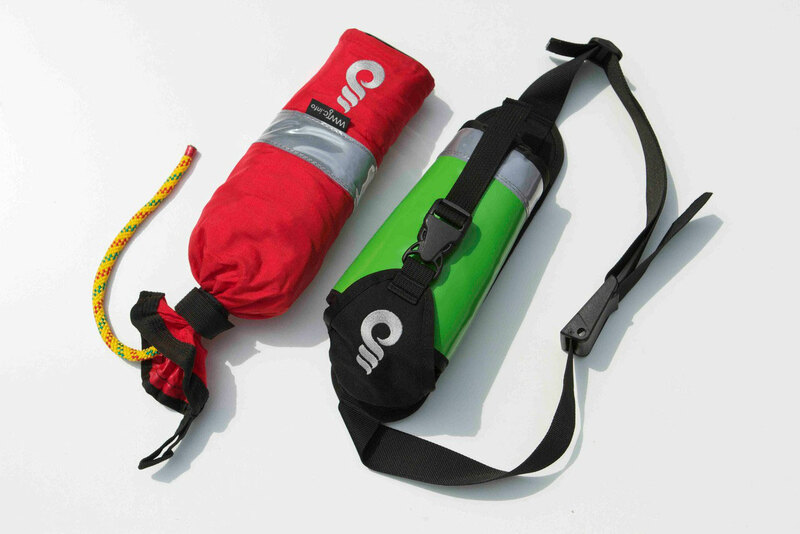 Ideal for kayakers, raft racers and raft guides. - 8mm, 18m rescue rope with carabiner pocket and reflective inserts sold with and without waist-carry-system. 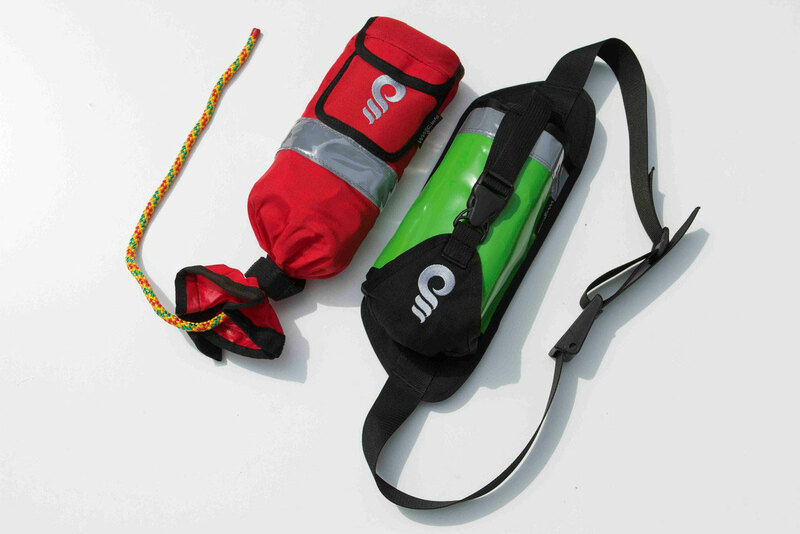 Ideal for raft guides, whitewater- and rescue professionals. sold with and without waist-carry-system. 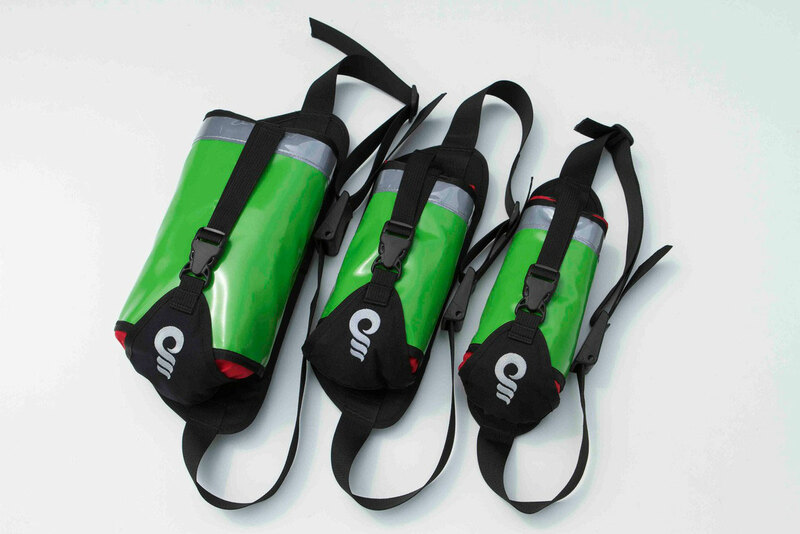 Ideal for raft guides as a carry-on for the raft and also ideal for rescue professionals. - the best whistle for whitewater, recommended both for professional- and recreational users.